Modern wood decors with elegant textures and warm tones create a cosy atmosphere in any space. 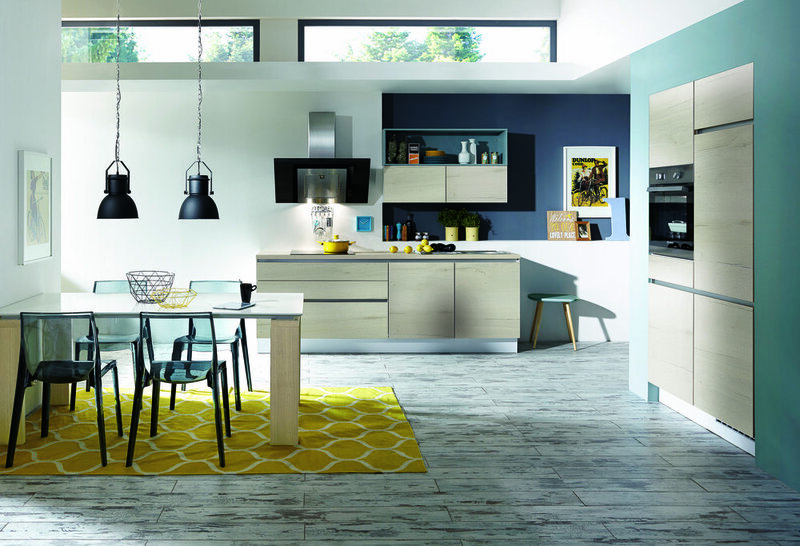 Astonishingly authentic wood decors available in handleless doors, with a conventional handle or a cottage style kitchen. Wood decors and textures such as concrete reproductions have not only established themselves in architecture, but also in interior design. 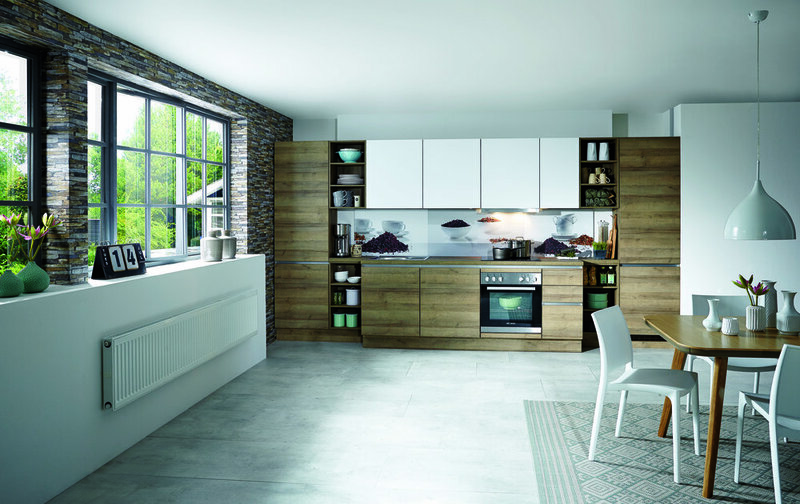 The fronts in authentic-looking finishes are an interesting and easy care material alternative for the kitchen and living area and convey a modern urban feel. Combining shelves in light coloured wood decors with colourful kitchen accessories creates a harmonious overall atmosphere.